If you are looking for a challenge in the Northern Gulf of Mexico, look no further. Many people focus on the red snapper or the grouper, but you will find no greater challenge than the amberjack. Responding on forums, I have frequently seen the amberjack referred to as ‘impossible to catch’. However, there are things you can do to improve your odds. Part of the reason these fish are so difficult is their size. They are typically 60 to 70 pounds, but can easily reach 100 pounds. Like the snapper, they love their structures. Amberjack typically can be found in 120 to 130 feet of water near oil rigs, salt mounds, breaks, ledges, wrecks, and towers. When you hook one, it will quickly become obvious that they do not want to leave the water. 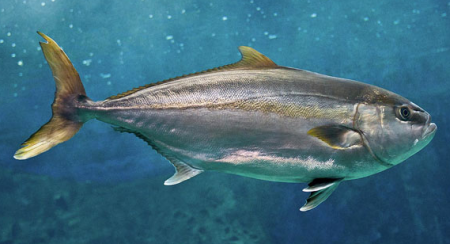 The amberjack is one of the hardest fighting fish you will ever encounter. It is not uncommon for one fight to leave an angler regretting his pursuit of the amberjack. For your best chances of catching amberjack, you will want a live well full of the ideal live bait. Blue runners are one of the best live baits for amberjack. They are commonly called ‘hardtails’. Bluefish are another species that are perfect for amberjack. Both of these fish can be found around the same structures that amberjack love, so this is where you will find your bait. When you choose your bait, go big or go home. Amberjack are happy to eat a fish roughly 10% of its own weight. A four pound fish for bait is not a bad choice for a good sized amberjack. You can also use lively croakers, spots, pinfish, grunts and mullet for bait for amberjack. Because of their weight and aggressive nature, it is best to take some strong gear with you when pursuing the amberjack. There are plenty of people that want a fun fight and go with lighter gear, but they often regret that decision. Your ideal setup is a high-speed 6/0 reel loaded with 80-pound-test and seated on a 6- to 6 1/2-foot medium/heavy action rod. This will ensure that you enjoy your fight but also have enough strength to bring in that aggressive beast you are after. Understand that one of the best amberjack strategies for getting free is to clip your line. Because they live near these structures they love, they can easily wrap your line around a structure and snap your line. Once you have hooked your fish, your best bet is to back away from any structures. If your boat has enough control to make this maneuver, it will greatly increase your chances of landing your amberjack. When pursuing the amberjack, the sliding sinker rig is your best bet. It consists of slipping an egg sinker ranging anywhere from 8 to 16 ounces onto the main line and then tying on a dull-finish No. 1 swivel. You should then add four to five feet of 90- to 130-pound-test fluorocarbon leader material and finish off with a 9/0 to 11/0 circle hook. When you bait your hook, feed the point through the mouth and back out through the corner. You want the point and barb ready to land securely in the mouth of your amberjack. 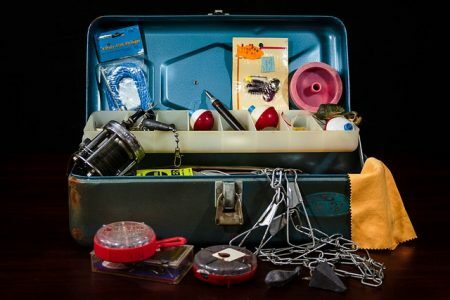 Drop your bait down to the proper depth and lock your reel in place. You can now wait for a strike. One mistake many anglers make is to try to set a hook in the conventional sense. This does not work with an amberjack rig. 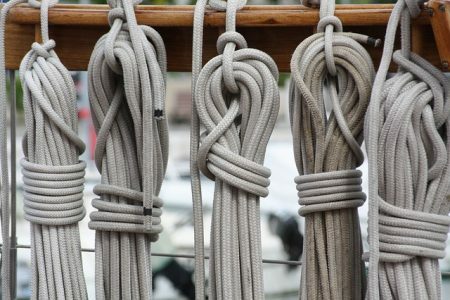 As you feel tension on your line and your rod beings to bend, you can only increase the tension on the line. Just raise the rod to increase the tension and get into a fighting belt. It is now time to prepare for a battle. This fish will not go easy. While live bait is always your best option for amberjack, there are times where you run out or cannot find any. For these times, there are heavy jigs that will work. The ones you want to target are 7- to 10-ounce weights in colors like silver, chrome, white, and chartreuse. These will all work well. To rig these lures tie a quality dull-colored No. 1 barrel swivel to the main line. Next, attach three to four feet of 90- to 130-pound-test fluorocarbon leader material and finish off with the jig. To work this rig, drop it to the bottom or close and bounce it towards the surface. Pull the rod tip up while reeling in, and then let it drop a bit. Repeat this process all the way to the surface. 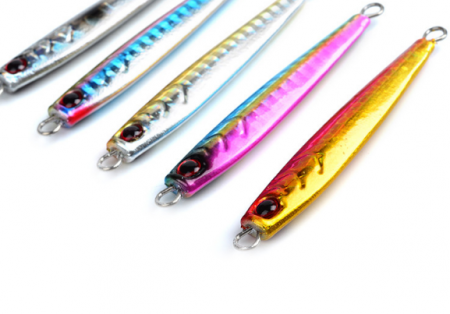 Unlike live bait strikes, these will drop your rod significantly. Set the hook several times and make sure the fish is coming with your line. In addition, you should drop more lines any time you have an amberjack hooked. You will likely get other fish that will follow it to the surface. Finding the amberjack is not all that difficult, but bringing one in is a different story. Make sure you are prepared in both mindset and gear for this challenge. The amberjack will not go lightly. If you have the right strategy, gear, and focus you will come home victorious.